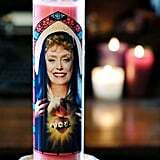 Thank you, Etsy shop owner, for being a friend. 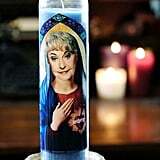 Ahead of the holidays, a set of four prayer candles inspired by The Golden Girls from The Eternal Flame is taking off again after previously being spotted by Scary Mommy. 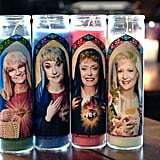 Dedicated to the "patron saints of Miami," there's a candle for each of the four main characters of the beloved late '80s and early '90s sitcom: Dorothy, Rose, Blanche, and Sophia. 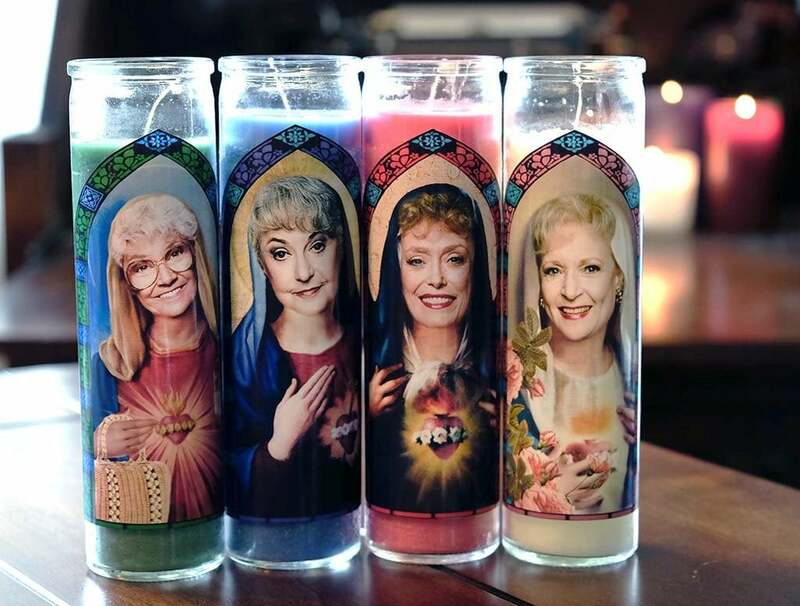 The Sophia one might be our favorite, simply because she's inexplicably holding her pocketbook, while every other candle shows the girls holding some sort of saintly object. 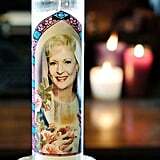 Each candle is fairly affordable at $13, and you can buy a set of all four for $44. 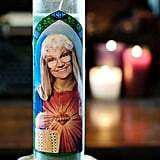 Shop them all ahead!